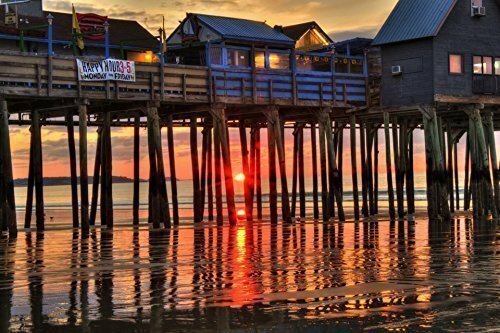 Beautiful sunrise view through the Old Orchard Beach Pier as the sun is coming up over the ocean horizon. If you have any questions about this product by Boston New England Photo Art, contact us by completing and submitting the form below. If you are looking for a specif part number, please include it with your message.